Stillhart explained that he had been working for the ICRC for 27 years. ICRC was established more than 150 years following the battle of Solferino in Italy in 1859. The whole red cross was born after that battle due to the presence of Henri Dunant, who witnessed the battlefield and realized the overwhelmed situation of the medical service. He organized medical care with the local inhabitants regardless of the combatants’ side. He then pushed for the creation of an impartial organization to assist wounded of war, namely the International Committee of the Red Cross. The idea consisted of pushing for regulation of warfare. The issue regards how to balance military necessity and protection of civilians. The ICRC does not take side and acts regardless of political opinions. They do not only provide assistance in conflict but they also have a mandate of the international community to spread the rules of humanitarian law. They employ about 18 000 staff and a budget of 1,8 billion dollars. Regarding Syria, he said that there was no doubt that it is the worst conflict in the 21st century. It has generated 5 million refugees but it had also generated 6 million internally displaced people. This year alone, an additional million people were displaced. It is also a very complex conflict. The roots of conflict were not only located in the region but also manipulated by great powers. Syria had received the largest ICRC response with 600 staff, 5 permanent offices with the head office in Damascus. They provided food, care and visit detention places. ICRC had three areas of priority. First, the manner in which states and proxies behave on the ground, reconstruction, foreign fighters and their families. He mentioned the states and proxies. Looking at the first decade of the century, there has been a huge amount of international troops based in Afghanistan. Today, regional and global powers have a much smaller footprint on the ground. Their influence goes through unconventional warfare, drones, special units or operating through partners, states and non-states. It creates risk of diluting responsibility under international humanitarian law. When states operate with armed groups, it gives them an excuse not to respect the rules. Under IHL, states have an obligation to abide by its rules and states need to ensure respect for them. If they engage with other states or armed groups, they must apply the rules. ICRC reminds the states of their responsibility and gives them guidance about how to apply the rules, for instance to establish responsibility, investigate violations, pursue proper training and instruction to ensure protection of the population. ICRC discusses with all the states involved and partners with other states or armed groups. Concerning reconstruction, it has become politically loaded. Many countries have refused to engage in such a process before political change. The country has been destroyed by conflict but the reconstruction is trapped in a political dispute, while people are dependent on basic infrastructures for survival. ICRC is working therefore on electricity, water supply without touching full reconstruction. The conflict is not over. As they speak, heavy fighting is taking place. People are displaced and need assistance. It leads to the issue of return. There is obviously no clear answer. Areas like Damascus are safer than others. In the end, it must be up to the people who fled their home to decide whether or not they want to return. He added that they had to return peacefully and in security. He insisted that nobody wanted to leave his country. From 2015 onwards, people started leaving the country as they saw the conflict becoming more protractive. He then discusses the third issue: foreign fighters and their families, which added a layer of complexity. The ICRC has been providing humanitarian assistance to hundreds of foreign fighters. The vast majority is composed of women and the children are very young but they may legitimately represent a threat. IHL also applies to this critical group. Foreign fighters who have committed war crimes should be judged but no one should be tortured or executed without a trial. The ICRC is then looking after women and children. The treatment of foreign fighters will be observed by their supporters. Foreign fighters are considered as the worst of all but they cannot be labelled as terrorists. 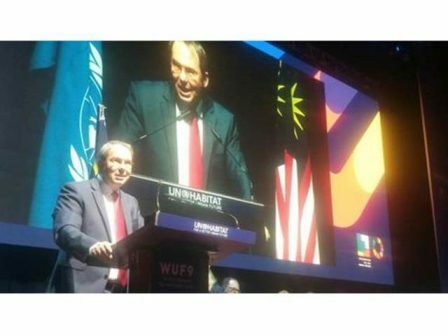 In an interconnected world, states can promote IHL. East Asian states can play a role in that regard. The search for a political solution should be paramount in Syria and elsewhere. In conclusion, the ICRC is about neutral and impartial action for humanitarian assistance. The Geneva Conventions are a vital element striking a balance between military necessity and humanity. Syrians need to be provided with the basic to survive. 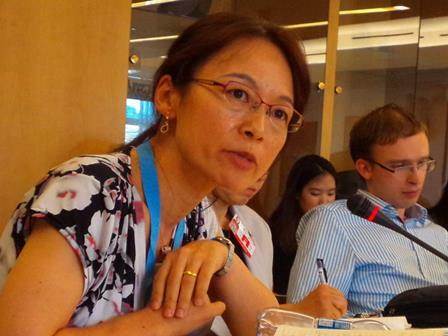 Professor Kulnazarova of Tama University first commented on the detailed account of the ongoing Syrian crisis, noting that the Red Cross was originally created to help the wounded on the battlefield, which is now being transformed and expanded functionally and operationally. However, it seems that such changes, although perhaps absolutely necessary due to the changing type of conflicts, the nature of humanitarian crisis and the global commitment to SDGs, are not so obvious or at least not so obvious to the public. The two following questions are: 1) why does the ICRC continue to adhere to its original principles, including the provision of needs-based assistance, rather than moving to more proactive development-based humanitarian work? 2) Does the ICRC, as a global humanitarian organization, take into account the cultural dimension of local assistance activities on the ground, especially when addressing/solving regional, national and local humanitarian problems, such as in Syria? Professor Yasushi Katsuma of Waseda and Professor Zhang Guihong of Fudan University provided their comments. Professor Zhang Guihong said the civil war in Syria has caused the worst humanitarian tragedy since the end of World War II. The international community including ICRC has been providing with various assistance for refugees and displaced people from Syria. While the assistance itself is not able to solve the systemic crisis in Syria, it does constitute the foundation of “the greatest common divisor” of the final solution of Syria dilemma. Given the fact that major powers (The United States and Russia in particular) have conflicting interests and strategies in Syria, the United Nations needs to play a more substantial role in the political solution of Syria crisis. Professor Zhang also asked if the ICRC has the plan to cooperate with Chinese government in terms of co-construction of BRI, and what is ICRC’s expectation for the cooperation. Dr. Sijeong Lim, Assistant Professor of the University of Amsterdam added her comment which centered on public support building for the ICRC, or Western-born humanitarian organizations in general, in the context of East Asia. She pointed out that the narratives often employed in the West to garner citizen support and willingness to contribute to such organizations might not work as effectively in the Asian region. 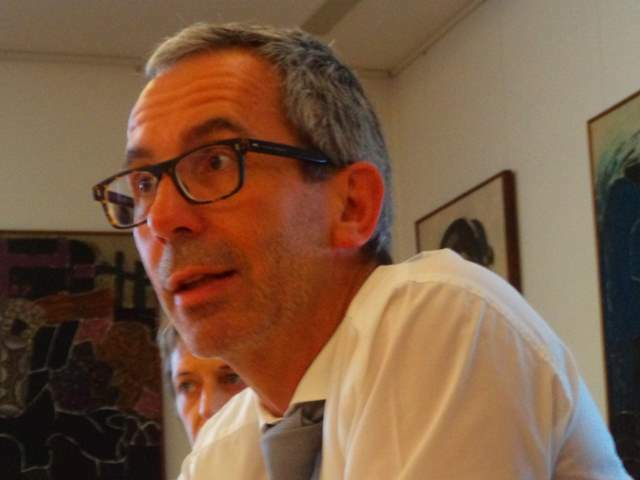 For instance, in Asia, the discourse emphasizing “violations against universal human rights and international humanitarian laws” or “moral obligation of other-regarding individuals” alone might have limited effectiveness in generating broad-based support for the works the ICRC carries out in third countries. She suggested that ICRC might want to explore other narratives such as the ones emphasizing “self-centered and national benefits” or “international reciprocity”. She also criticized the fundraising strategy of the Korean RC (i.e., sending out a GIRO form to all heads of household). Doing so is expensive, ineffective, and most importantly, damaging to the organization’s reputation as many Koreans confuse the form with tax/utility invoices. 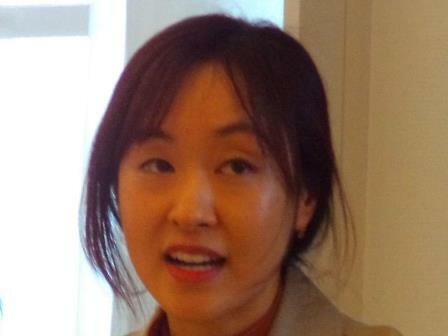 In conclusion, she called for better public relations strategies that cater to Asian citizens. 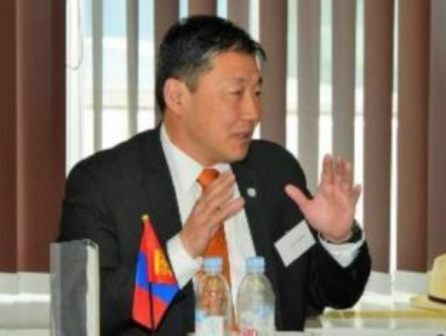 Colonel Amarsaikhan of the Mongolian Armed Forces said that the international community and humanitarian actors should be prepared to see more people being displaced, and more civilians being killed in conflict zones as modern armed conflicts are taking place in urban environment rather than open field. There is an expectation that this trend will continue in the future. In urban areas it is very difficult to identify who is a friend and who is a foe, and who is a combatant and who is an innocent civilian. Therefore collateral damage is unavoidable on modern battlefields. He went on to say that the use of chemical weapons should not be tolerated anywhere in the world. There have been reports of chemical weapons attack in Syria, and some western countries led by the US took military action to “punish” the government of Bashar al Assad. Though the chemical attacks are strongly condemned, the international community should continue to investigate the incidents. Mr. Icchiku Yamada of Tokyo University insisted that Syrians are disappointed with the international communities’ inaction and there has been a huge gap between the Syrian civil society and the international community. He highlighted the importance of the whole society approach which Syrian civilians are placed at its center. 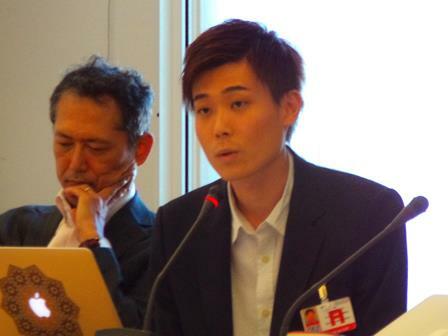 Mr. Yamada questioned about the negative impacts potentially caused by the ICRC’s principle of neutrality. Associate Professor Kihara-Hunt emphasized the difference between impartiality and neutrality and asked how ICRC perceives the difference. She also wondered how ICRC sees prosecution of persons suspected of international crimes and how that influences humanitarian space available to organizations like ICRC. 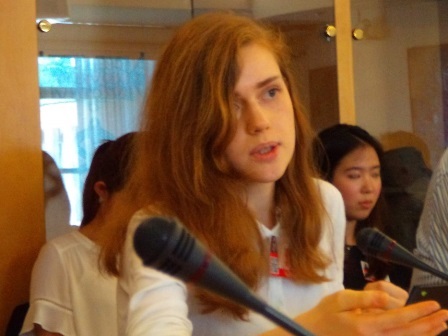 Ms. Maja LIECHTI said that the needs and fears of all sides involved, including the residents of the country of migration, had to be addressed, so that all parties become perceptible for dialogue on how to ameliorate the situation. In response to questions made by the discussants and other participants, Mr. Stillhart explained that labelling an actor as a terrorist group allowed states to disregard the IHL. Concerning the relationship between development assistance and humanitarian aid, ICRC had just been through a process of strategy building, and one of the major discussions was about that topic. When he joined the ICRC, he thought he would work for an emergency organization but today there is hardly a peace agreement signed because major and regional powers cannot agree on the conditions for peace. They are dealing with protractive conflicts all over the world. The war wounded only represent a tiny part of the population concerned by conflicts. Reconstruction without security is doomed to fail. About OBOR, the ICRC is already talking to the Chinese government because the project will affect countries devastated by conflict. Trying to stand on a moral high ground will not take them anywhere. If they want to engage and sit at table where people start to be interested in important issues, they can not simply show up with the Geneva Conventions. They need to address issues debated in the countries in conflict. When Syrian refugees started coming in masses to Europe, the ICRC could engage with European states as it provided a platform of discussion. They need to try to craft a narrative that speaks to politicians, who care about their re-election. On the criticism about their organization engaging with terrorists or governments that are reportedly engaged in large scale violations of IHL, our job consists of engaging with anybody who has control over territory and people in a conflict. Their job does not consist of judging people on moral standards, otherwise they could not even think of providing humanitarian assistance. They try to influence these people to treat their prisoners more humanely. As soon as they move from an impartial organization to shaming and blaming, they will not be able to accomplish their mission. He admits that it is very difficult not to speak out when they see atrocities, but they also know that the moment when they cross that line the price will be high. They are confronted to this dilemma on a daily base. Regarding women and children, humanitarian action has changed over time. When he joined ICRC, it was all about physical needs. In the past decade, they realized that people are displaced for an average of 20 years. Therefore, they are dealing with all these protractive situations. People are perhaps affected even more by psychological traumas than physical ones. If someone has gone missing during a conflict, one cannot know if that person is alive or dead. The psychological needs of the affected people are tremendous. They have also incorporated reaction to sexual violence in their program. At the conclusion of the session, Professor Hasegawa observed the universal principle that human life and dignity were sacro-saint and overrode any other concerns. All the actors engaged in this field must cooperate with this principle in mind. He thanked the representatives of the ICRC for their presence.